Most people can talk faster than they can type, so why not use your voice to quickly dictate and edit documents? 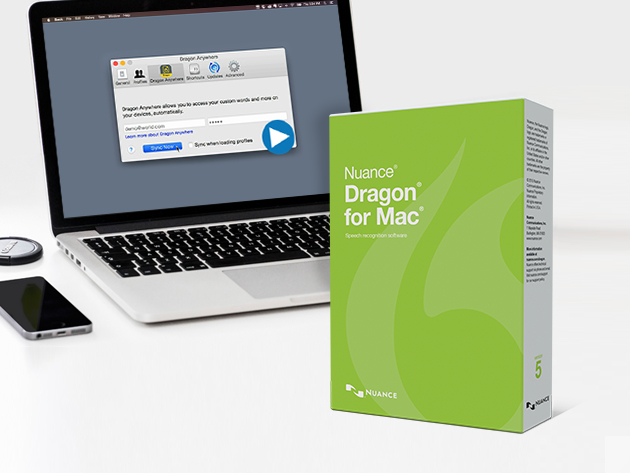 Dragon 5 for Mac lets you customize words for the terms you use every day, insert frequently-used text or graphics and create command shortcuts for repetitive tasks, so you can complete documentation faster than ever before. For a limited time, it’s available for just $149.99 from TNW Deals. The all-new Dragon for Mac delivers fast speech recognition that’s 15 percent more accurate than ever, along with versatile transcription and mobility features, to drive individual productivity at work. Even connect to the soon-to-be released Dragon Anywhere mobile app for iOS or Android for an end-to-end voice productivity solution that helps you work smarter and faster, wherever your job takes you. The enormous efficiency upgrade is practically priceless for the active mind, but we’re taking an extra 25 per cent off the MSRP on TNW Deals for a final cost of $149.99.